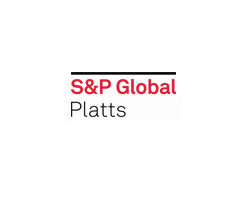 February 7, 2019 - S&P Global Platts recently conducted an email interview with Alexey Danilov, director of Carbo One, a Cyprus-based coal trader with operations around the world. Danilov addressed a broad scope of questions, including the company's recent long-term supply contract with Brazilian steel maker CSN and the company's strategic plans for thermal coal in Asia. Carbo One's thermal coal exports have been roughly evenly split between Atlantic and Pacific markets. Do you anticipate a shift toward the Pacific in 2019? According to the International Energy Agency, global coal demand will edge higher until 2023 and demand in Asian countries will offset a decline in Europe. Amid the coal-phase out in the EU, the shift is likely to be more pronounced after 2019 with new plants coming online, for example, in Bangladesh, Vietnam and Malaysia. How will you accommodate the growing Pacific trade? New coal terminals are being built and existing port capacities will be expanded in order to meet the growing Pacific trade. The total capacity of coal handling terminals in Russia is expected to more than double by 2030 and reach 350 million mt/year. For instance, Vostochny Port is about to complete the ongoing expansion of its high-tech coal terminal. New capacities will be put into operation by the middle of 2019 and boost Vostochny Port's annual throughput up to 40 million mt/year from 24.2 million mt/year of coal handled in 2018. Rail infrastructure is being developed as well and more brand-new railcars with increased capacity are being put into operation. What is the level of demand in Asian countries such as Malaysia and Vietnam? Both Malaysia and Vietnam are adding a lot of new coal-fired high-tech capacity into the grid together with the growth in general industry consumption and steel production. Vietnam is becoming hungrier for low VM so-called semi-anthracite coal which is used both in generation and general industry. 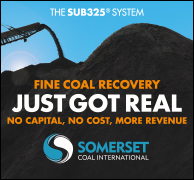 Suppliers of such coal have an opportunity to take a big share of this growing market. In terms of electricity generation, the majority of new capacity is designed to take Indonesian subbituminous coal leaving these countries limited space to diversify. We understand there are growing concerns that Indonesia might reduce its exports of lower grade subbituminous coal and keep more for domestic generation. Bearing in mind these risks, we are working closely with end-users to develop ideas and expand room for high-quality coal as a blending partner for Indonesian coal. We are supplying high quality HV bituminous coal to Malaysia, low and mid VM coal to Vietnam as well as metallurgical grades for the Vietnamese steel sector. How do you expect IMO sulfur regulations to impact your book of business? The industry's general expectations of the IMO regulations are quite clear -- freight should be costlier obviously affecting the longer routes like Colombia to Asia and therefore narrow the arbitrage window for swing suppliers to deliver coal to the Asia-Pacific region. Freight prices are always affected by the global economy, which is currently giving some worrying signals. Since the majority of seaborne coal trade is done to China and India, both of which have strong domestic production, we should expect tighter competition and more pressure on FOB prices rather than an increase in delivered values. Geographically, Russia has the advantage of being able to supply both Baltic and Pacific markets where Russian producers can efficiently compete. We hope this new IMO regulation will give us more opportunities than challenges especially in the Asia-Pacific region. Do you see China as a potential buyer? China is both the world's leading coal producer and biggest energy consumer. Despite government curbs and massive investments in alternative fuels to cut its reliance on coal, China's 2018 coal imports hit a four-year high. Carbo One sales to China have jumped by 50% over the last year. Domestic production cuts are another factor which allows us to see China as a reliable partner and a promising market. We are already supplying steam coal to North China provinces as well as PCI. Coal qualities have been somewhat in decline over the last few years. Given the diversity of your fuel supply, are you seeing opportunities to compete with Indonesian or Australian coal? In 2018, we already saw that South Korea was taking more Russian thermal coal replacing some material from Australia and Indonesia. Environmental legislation in South Korea has changed the approach of the country's coal-fired utilities, shifting their focus towards lower-sulfur and cheaper coal. Coal exports from Indonesia are expected to fall from 408 million mt in 2018 to 300 million mt in 2035. Indonesia's exports are under pressure due to the deterioration of coal quality including CV amid tighter rules on the import of low CV coal in China, Japan and South Korea. In 10 years' time, CV value is likely to drop 10% which gives us an advantage in the future. Where are the greatest opportunities in the Mediterranean/MENA regions? In Turkey, Egypt and the UAE, currently, Turkey consumes around 29 million mt/year of thermal coal but by 2030 it will reach 40 million mt/year. Turkey is our biggest partner in the Mediterranean region at present. We also see growth opportunities in UAE, where the Hassyan clean coal power plant (2.4 GW) will become a major consumer once construction is completed. Planned coal-fired power plants in Oman and Jordan are expected to be among future coal importers. How does Carbo One position itself against other producers in this region? We consider lower freight costs to be the key competitive advantage in the supply of coal to Turkey through the Russian ports of the Azov-Black Sea basin. In addition, the quality characteristics of local material give us an edge over other producers in the region. We're also keeping a close eye on a new deep-water coal hub planned for construction on the shore of the Black Sea in Taman. 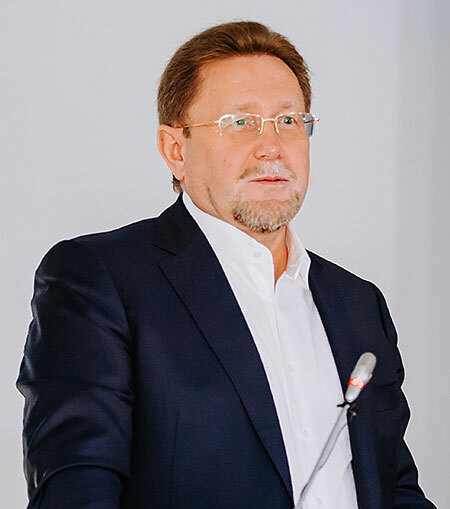 This project should reduce freight costs and significantly strengthen the position of exporters to the Mediterranean and Middle East, North African markets, bearing in mind the shortage of modern deep-water port capacities in the Azov-Black Sea basin and the fact that substantial volumes of Russian coal are delivered to the regions mentioned from Ust-Luga and Murmansk. How much of the buying interest is coming from cement plants? How much from power plants? Turkey is the largest consumer, with current demand around 29 million mt/year of thermal coal and 6.5 million mt of met coal. In Egypt, the majority of coal is consumed by cement plants. When Hamarawein coal plant (6 GW) is finished, it will boost imports for power plants. 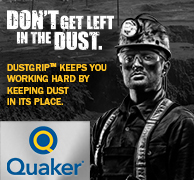 Given coal's negative reputation, what do you think the industry needs to do to get shone in a more positive light? The global economy needs coal. Coal played a vital role in the Industrial Revolution and even today it accounts for about 40% of the global energy mix. It is used in steel production and other industries like pharmaceutical industries, paper manufacturers etc. People just need to know more about it. In some countries that started introducing renewables electricity prices surged more than 50% during the last 5-10 years. Efforts should be focused on CCS or CCUS-technology along with deploying high efficiency, low emission (HELE) coal-fired power plants. Coal power plants retrofitted with CCS can be cheaper per megawatt hour than renewables. Instead of stepping away, banks and investors could participate in building or funding affordable power plants in developing countries, and help upgrade the existing ones to provide more electricity to more people. How does Carbo One intend to become a part of coal's future growth? What Carbo One can do is to stay committed to ensure a secure supply to our customers of high-quality coal of all grades. Over the last five years, our sales doubled. In 2019 we expect sales to increase around 7%. Our next steps will include diversification of coal supplies and more active trading of Australian, South African and Indonesian coal. But for us, growth is not just numbers. It also means more social responsibility. C1 has recently signed a long-term supply contract with Brazilian steel maker CSN. In light of the agreement with CSN, what further prospects do you see for sales in the Brazilian market, where economic growth is now expected following the recent change of government? CSN has been a long-term strategic partner of Carbo One in South America for many years, our history goes back to 2009 when the first deliveries of our PCI material took place. The current contract lasts until June 2019 and according to our counterparty will be renewed for another 2-3 years. As we all know, South American steel producers are the benefactors of Trump's policies and are using them to their fullest advantage. Besides that, if the current elected Brazilian President Jair Bolsonaro keeps his election promises, then all the major sectors of the economy using steel and energy, such as car production, industrial and civil engineering, the fuel and petrochemical industry will all be growing, which in turn will drive overall coal demand. Also, just recently the government announced a plan to cut import tariffs on capital goods, which should boost domestic infrastructure projects and by that maintain a strong demand for steel. C1 in general has a very strong hold on the Brazilian market. We're the long-term suppliers of all the major players in the region, like CSP, Ternium and ArcelorMittal Brasil. We are also constantly in touch with our partners from Usiminas, Gerdau, Vale and Eneva. How is the use of PCI coal in general helping steelmakers reduce their carbon emissions? In which countries is this trend most important? In various studies it was shown that increased injection rate of PCI coals lowers CO2 emissions during the steelmaking process. But one must consider the overall carbon footprint and here again PCI technology offers advantages by reducing the use of coking coal and prolonging blast furnace life by making the process more stable. The trend started in Europe and Japan, who, as usual, are at the forefront of any new developments. But more and more we see all the other major steel producers around the world switching to or increasing their use of pulverized coal injection. In which other countries do you expect to strike supply agreements, for which tonnages and when? If we're looking at metallurgical coals, then by far the biggest leap possible we see in South America. But it's not an easy market and you have to be patient in order to achieve results. Regarding thermal coal, a lot of new developments are emerging in the Mediterranean and the Middle East. And you can't go wrong with Asia, there always seems to be room for growth. Just recently, news about the commissioning of a new steel plant in India is a very promising sign and only adds to our overall optimism regarding this region. We also are hearing that PCI demand in Europe has picked up a bit lately for Russian origin PCI. Do you see opportunities there? Talking about the European market we consider the demand to be more or less stable. We've seen this trend over the last couple of years. Also, the optimization of the steel industry in Europe with some of the joint ventures and mergers on the one hand provides increased efficiency of some steel plants and by that also a growth in demand for PCI coals, but also leads to other mills being shut down. In general, we are already supplying almost all of the metallurgical companies in the EU, some of whom use 100% of our PCI coals in their operations. The possibility of growth we see here is more with anthracite and coking coals. Given India's growth in demand, do you expect to sell much into this market? How do you compete with South Africa or other traditional suppliers into this market? We expect that in 2019 our sales of anthracite to India will almost double. If steelmakers such as ArcelorMittal, TATA, SAIL, Jindal Steel & Power expand capacities in accordance with their plans, metallurgical coal imports will jump by 2035 up to 117 mtpa from 54 mtpa in 2018 giving us more to work with. By how much (percentage and tonnage) is the global market for PCI coal growing annually? Does supply match demand? The global market for PCI coals is rather complex. Annual growth is a couple of percent. But for both sides, the suppliers and consumers, this is rather a positive development. The supply and demand is clear and the prices seem to reflect that situation.